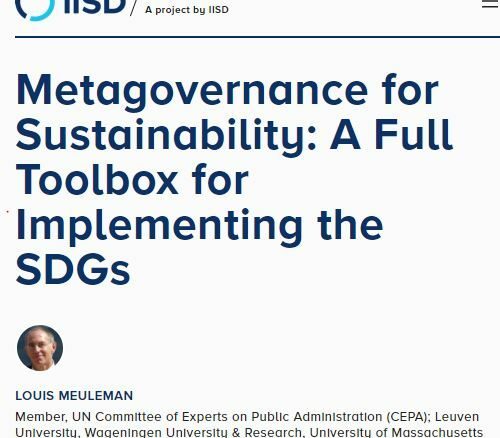 Louis published a guest article at IISD.org as short introduction to the book Metagovernance for Sustainability. It argues that successful decision makers do not stick to one governance approach; they think beyond the governance style that their organization or culture may be used to. Read the article online here.